Long before Apple Pay, big brick-and-mortar retail chains were conspiring to sidestep the typical 2% to 3% fees they’re charged by credit card companies when consumers pay with credit. A company called MCX (Merchant Customer Exchange), spearheaded by Walmart, was started to build a mobile payment solution that would become an app called CurrentC that’s preparing to launch, but is already in the app stores. Rather than NFC, CurrentC uses QR codes displayed on a cashier’s screen and scanned by the consumer’s phone or vice versa to initiate and verify the transaction. The system is also designed to automatically apply discounts, use loyalty programs, and charge purchases to a variety of payment methods without passing sensitive financial data to the merchant. Retailers including CVS and Rite-Aid were planned partners for CurrentC. Now those businesses have pulled unofficial support for Apple Pay through their existing NFC readers, according to a report from MacRumors and a memo obtained by SlashGear. This implies they’ve established exclusive deals with MCX to use CurrentC as their mobile payment option. Thanks to research shared with TechCrunch by Stanford student and developer sleuth Andrew Aude, we have more details on MCX’s plan and a closer look at the CurrentC app. Originally incorporated in 2011, MCX spent years in a sort of stealth mode working on the payments user experience. The company is run by merchants including Walmart, Target, Best Buy, CVS, Shell Oil, Darden Restaurants (Olive Garden), HMSHost (airport restaurants), Hy-Vee (supermarkets), Lowes, Michaels, Publix Super Markets and Sears. Wal-Mart VP and Assistant Treasurer Mike Cook is considered the MCX group’s de facto CEO, with some joking that MCX stands for Mike Cook Exchange, as FierceRetail reported. Together, the companies operate over 110,000 retail locations and process over $1 trillion in payments annually, with a significant chunk coming in the form of credit card payments that cost the retailers fees. Walmart has long voiced its disdain for credit card processing fees that drain its slim margins, and even filed an anti-trust lawsuit against Visa and MasterCard over them back in 2003, but rejected the settlement they offered because it wanted more. The idea behind MCX was that if enough retailers teamed up, they could convince consumers to adopt their mobile payment system that would let retailers avoid paying credit card fees in the 2 percent to 3 percent range by processing payments through Automatic Clearing House transactions through bank accounts that have much smaller fees. MCX’s app could also help retailers by encouraging loyalty to participating merchants and possibly provide them additional intelligence on their customers. To speed up development, MCX struck a deal to use Paydiant’s white-labeled mobile wallet system on the backend that works with ACH to reduce fees, which was announced in February 2012. 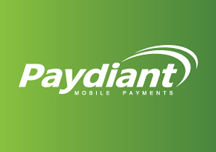 Paydiant has raised around $35 million for its payment solution’s development. “Please note that we do not accept Apple Pay at this time. However we are currently working with a group of large retailers to develop a mobile wallet that allows for mobile payments attached to credit cards and bank accounts directly from a smart phone. We expect to have this feature available in the first half of 2015. Until then, Apple Pay may gain steam with more graceful NFC payments, which could make CurrentC’s QR code method seems clunky and undesirable when it finally launches. 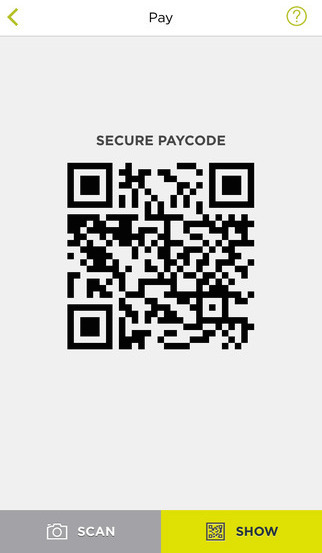 CurrentC’s app is now in the iOS and Android app stores, but can only be used by those with an invite code. Luckily, Aude was able to attain these screenshots and information. When you sign up for CurrentC, you’re supposed to add your bank account. This lets CurrentC process payments for you without retailers having to pay the steep credit card processing fee. You can also add retailers’ loyalty credit cards or gift cards as payment methods. It’s possible that if you already have your bank account connected to a partner retailer’s loyalty or credit card, you may be able to automatically link that bank account to your CurrentC account rather than going through the clumsy standard process. When it’s time for a user to check out, they request to pay with CurrentC. 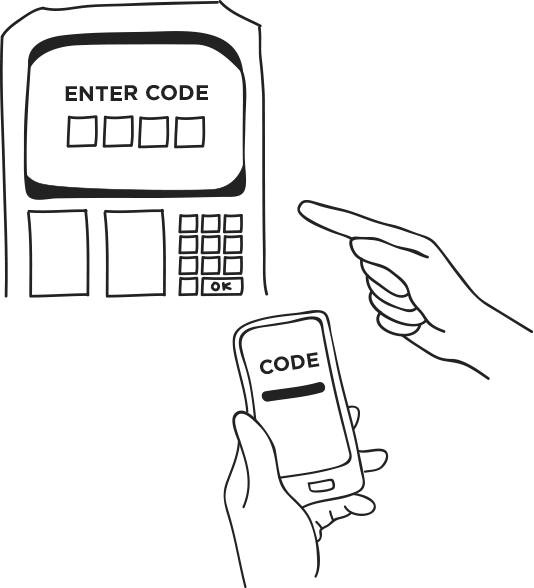 The consumer then unlocks their phone, opens the CurrentC app, opens the code scanner, and scans the QR code shown on the cashier’s screen. In some case, the reverse may happen where the consumer’s CurrentC app displays a payment code and the cashier scans it. If a QR code can’t be generated, a manually entered numeric code may be offered. CurrentC includes a merchant map for finding participating retailers. Discounts and coupons will be automatically applied to the purchase, and any loyalty program points will be automatically pegged to the customer’s account. CurrentC users will also be able to check their receipts in the app. These loyalty and discount programs may be the main selling point retailers use to try to convince customers to sign up for CurrentC. One refreshing inclusion in the app is a visual breakdown of what data CurrentC receives from users, who it can be shared with, and what data sharing is optional. After his investigation of the app, Aude told me “CurrentC borders on the creepy line” due to it pulling health info. He also that found that its Terms Of Service leaves high liability for fraud to the user if someone else is able to get access to a user’s phone and make CurrentC payments. CurrentC is now being tested at some retail locations in Minnesota. Before CurrentC can rolled out, point of sale systems at retailers need to be modified, which can take time and explains the early 2015 launch date cited in the internal Rite Aid memo obtained by SlashGear. CurrentC doesn’t rely on new technology like NFC or Bluetooth LE, so it will likely be compatible with older iPhones and Androids, unlike the iPhone 6 and 6 Plus-only Apple Pay. That could give it some broad appeal. MCX will also tout the automatic discount and loyalty programs that could appeal to bargain hunters. The problem with the CurrentC system, as John Gruber points out, is that it’s based more around solving the retailers’ credit card fee problems than the consumers’ payment friction problems. Users have to open their phone, open CurrentC, open the scanner, scan the code from the cashier, and wait for the transaction to be confirmed. That may present more friction than simply paying with a credit card, and it’s certainly harder than a quick Touch ID verification and tap of Apple Pay. The only way CurrentC has a real chance is if it can organize some big discount for all CurrentC payments across retailers. For example, if it said you’d get 5 percent off for paying with CurrentC, some people might be willing to use it. In the short-term, this would eradicate any savings on credit card fees for the merchants. But eventually, if the app gains a loyal user base it could scale back those fees to start reaping the benefits of sidestepping credit cards. If CurrentC doesn’t offer a vivid value proposition to consumers, it’s likely to go the way of the dinosaur while Apple Pay pushes the evolution of the rest of the mobile payments industry.